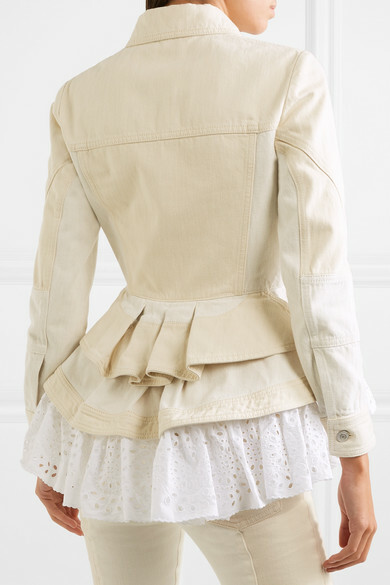 Alexander McQueen makes even casual classics resemble something couture. 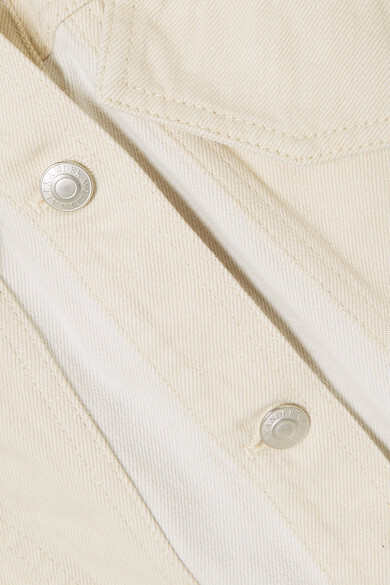 This jacket has been made in Italy from panels of tonal-ecru denim that's fairly rigid. 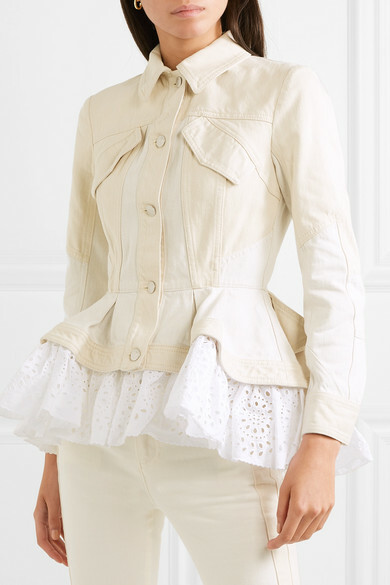 It's layered with white broderie anglaise cotton at the peplum hem, which has been carefully sewn into bunches to create volume. 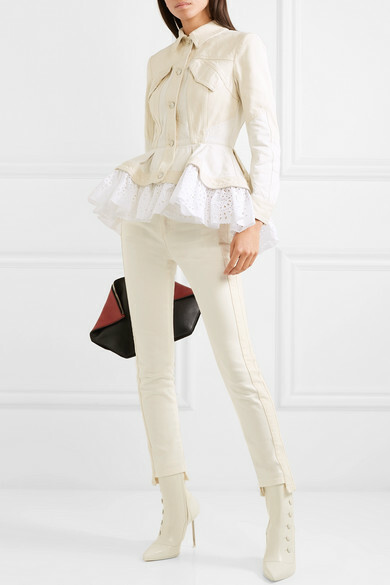 Shown here with: Alexander McQueen Jeans, Alexander McQueen Pouch, Alexander McQueen Ankle boots.